Nail fungus is one of the most common ‘nail diseases.’ Many people associate it only with toenails. But, it can also be common with fingernails. This becomes even truer when you have artificial or acrylic nails. So, why does it happen? Fingernail fungus often occurs when moisture gets trapped under the nail bed. Fungus thrives and grows in hot, humid environments. When your real nails are covered by artificial nails, you’re creating the perfect growing environment for fungus. Artificial nails can sometimes make it difficult to notice fungus right away. You may not be able to recognize the early signs. Unfortunately, once a fungus gets out of hand, it can take a long time to treat. There are several ways to cure fingernail fungus. Recognizing the symptoms is important. You also need to make sure you’re not dealing with a different type of nail disease. Once you’ve determined you have fungus, you should start treating fingernail fungus as quickly as possible. 1.1 What Are the Symptoms of Fingernail Fungus? 2.11 Can I Prevent Fingernail Fungus? 2.12 Should I Avoid Acrylic Nails Completely? This guide will cover many of the different ways to get rid of fingernail fungus from artificial nails. We’ll look at the signs and symptoms. We’ll also compare nail fungus to mold. They can often appear similar. Knowing which problem you’re facing will help you treat it. Let’s start by looking at the symptoms before diving into different treatments. If you have fake nails and you’ve been noticing some problems lately, you could have a fungus and not even realize it. 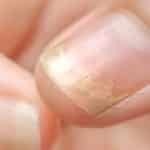 What Are the Symptoms of Fingernail Fungus? A fungal nail infection can take time to recognize. This is especially true if you have fake nails covering your real nails. It’s important to know the early signs of a fungal infection. The sooner you notice a fungus, the sooner you can start treating it. The longer an infection is left untreated, the harder it can be to get rid of. There are many possible nail conditions you could be faced with. If you’re unsure whether you have a nail fungus, a doctor can perform a scraping. They will look at a sample under a microscope to confirm whether you have a fungus. Certain people may be more prone to fungal nail infections than others. For example, people with diabetes or other circulation issues are at risk. You can also get a nail infection from trauma to the nail. Or, you can be at risk if you have a weak immune system. One of the most common causes, though, is moisture and debris getting trapped underneath the fingernail. When you have fake nails, it’s easy for this to happen. Nail mold is a well-known problem in the beauty industry. It tends to go hand-in-hand with fake nails and gel nails. Sometimes, it’s called ‘The Greenies.’ This isn’t a traditional mold. The Greenies refer to a type of bacterial infection. It occurs from unclean tools being used to apply acrylic nails. It can also be transferred from ‘nail dust’ due to a filing. Like a fungus, it can also occur due to trapped moisture under the nail bed. This happens when the fake nail doesn’t adhere to the real nail properly. An antibacterial solution will likely be needed to get rid of The Greenies. Knowing whether you have nail mold or fungal infection can help you treat the problem more effectively. Thankfully, nail mold is relatively easy to treat and get rid of quickly. There are many treatment options for fingernail fungus. You can choose an over-the-counter solution or a home remedy. Again, the best way to treat a fungus is to catch it early. At any stage, though, you must address it fully. Never stop a treatment solution before the fungus is completely gone. You should also refrain from applying fake or gel nails until the fungus has cleared up. Let’s take a look at some of the most popular ways to get rid of fingernail fungus caused by fake nails. Fingernail fungus may not be as common as toenail fungus. So, there are fewer over-the-counter solutions specifically made for this problem. But, one of the best and most effective is the Kerasal Fungal Nail Renewal Treatment. You can use this treatment directly on the nail without worrying about many scary side effects. It penetrates through the nail to get to the source of the fungus, working to get rid of it quickly. One of the most common symptoms of nail fungus is thick, hard nails. This formula penetrates through even the thickest of nails. It works on 92% of nail fungus sufferers. Antifungal polishes have become increasingly popular. One of the biggest problems with nail fungus is that it can be unsightly. Even with acrylic nails, you might notice a foul odor and some discoloration. Once you take the nails off, your natural nails could have a lot of the negative and embarrassing symptoms of a strong infection. It’s not uncommon to want to hide these ugly symptoms. You may want to turn toward nail polish to cover them up. Unfortunately, nail polish can make things worse. When you apply regular polish, you’re adding another barrier or ‘seal’ for moisture. Whether you apply it to your regular nail or acrylic nail, it can do more harm than good. You can get the best of both worlds by using antifungal nail polish. Many of these polishes are designed to work on toenail fungus. But, they contain ingredients that will help to break through fungal infections of the fingernails, too. 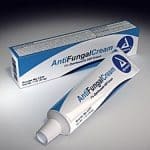 Antifungal polish works by breaking down the cell membranes of the fungus. It conceals the problem and helps to cure the infection at the same time. Polish like the Nu Wave Antifungal polish is a great way to help treat an infection without harming your nails in the process. If you like the look of gel nails but are trying to cure an infection, the antifungal polish is a great alternative. No matter what type of treatment solution you choose, you need to know how to take care of your nails beforehand. First, get rid of the culprit that caused the fungus. You shouldn’t attempt to treat a nail fungus while still wearing acrylic nails. Keep your nails trimmed. Having good nail hygiene is essential. Keeping your nails trimmed will help whatever treatment you choose to penetrate directly into the fungus. Longer nails also make it easier for moisture to get trapped. If you’ve had acrylic nails for a while and just took them off, take the time to trim your nails correctly. A fungus can cause nails to become thick and hard. You may need to file them down for treatment to fully penetrate the nail. If they are too thick to cut, you can try a pair of clippers for thick nails. Once you’ve trimmed them, filing should be easier. If you don’t want to use an over-the-counter product, try a natural solution. One of the best treatments for nail fungus is tea tree oil. It has antiseptic, antifungal, and antibacterial properties. You can use tea tree oil on its own with a carrier oil. Or, you can find a product that contains it, like a lotion or cream. Tea tree oil is one of the best natural solutions for fungal infections, and it is safe to use. People who use it as a treatment option rarely experience any negative side effects. Miracle of Aloe Antifungal Liquid combines natural ingredients with chemicals to safely and effectively cure up an infection. The active ingredient is tolnaftate. Tolnaftate helps to keep a fungus from growing. When it can’t grow anymore, it will eventually die out. It also contains tea tree leaf oil. That contributes to its antifungal and antiseptic properties. Not only will it help to stop the fungus in its tracks, but it won’t allow it to spread easily. FungiNail uses essential oils to cure fingernail fungus. You already know that tea tree oil on its own is a potent treatment option. The combination of these ingredients safely gets rid of fingernail fungus. Symptoms will start to fade away in a matter of weeks. Plus, because essential oils are all natural, you don’t have to worry about any scary side effects. Terbinafine is often known as Lamisil. It is a prescription solution that takes about six weeks to work on fingernails. Because it works so quickly, it usually isn’t prescribed unless the case of fungus is fairly severe. Terbinafine is a popular prescription solution because it is considered safe, with few side effects to worry about. Laser therapy is becoming more popular as a solution for fingernail fungus. 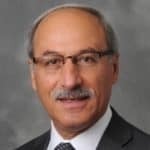 As technology advances, it is becoming safer and more practical. Some devices, like the Cure Ex Laser Device are making it easier to use this type of treatment at home. Products like the Cure Ex device are currently meant for toenail use. But, laser treatment is available within the medical field. As your doctor about your options. It may not be as invasive or painful as you may think. Can acrylic nails contribute to nail fungus? Absolutely. But, a weak immune system won’t help. Eating healthy, exercising, and taking care of your body can better prepare you for different types of treatment. Once you already have an infection, boosting your immune system alone won’t get rid of it completely. But, you can take better care of your health as an added boost to one of the treatment options listed here. It can help you to fight back against the infection faster. Can I Prevent Fingernail Fungus? There is no way to 100% prevent a fungal infection from happening. But, knowing the possible causes can help to lower your risk. It’s not always as easy to get fingernail fungus as toenail fungus. This is because fingernails aren’t usually covered, making it harder for moisture to get trapped. One way to ‘trap’ that moisture, though, is with acrylic nails. They are a great way to make your fingernails look manicured and perfect. But, they aren’t great for the general health of the nail. Some people are also more prone to fungal infections than others. If you already know you can get infections easily, it’s best to stay away from gel manicures and fake nails. If you do get fingernail fungus, you should take the right steps to prevent it from spreading. Fungal infections spread quickly and easily. Wash your hands frequently, making sure to dry them completely each time. Avoid touching other areas of your body with your hands. This can cause the infection to spread to other locations. Should I Avoid Acrylic Nails Completely? It’s not uncommon to want a manicured look for your fingernails. Some people get fake nails regularly and never have a problem. While it’s safer to avoid getting acrylic nails, there are some tips to keep in mind if you have to have them. Go to a nail salon you can trust. Develop a relationship with your manicurist and let them know about your concerns about getting an infection. Fungus often happens due to an error with acrylic nails (having them re-glued, etc.). Make sure the tools are clean. This goes hand-in-hand with choosing the right salon. All nail tools should be properly sterilized. Again, the fungus spreads easily. Dirty or contaminated tools can lead to big problems. Keep your hands dry. Most of the time, it’s easy to air out our hands and fingers throughout the day. If you have acrylic nails, make a point to keep them extra dry. You can moisturize with lotions and creams. But, don’t allow excess moisture to get trapped beneath the fake nails. Avoid gel manicures. They can be an alternative to fake nails, but can also be just as damaging. Gel manicures lock in a gel-like polish using UV rays. This makes it easy for a fungus to grow since your nails don’t have a chance to breathe. It can also make it harder for treatment to penetrate through the nail. Take breaks between manicures. Give your natural nails a chance to breathe sometimes. In other words, don’t cover them with fake nails 365 days a year. Try to limit your manicures as much as possible, only covering your nails with acrylics when you feel it is necessary (for big events, trips, etc.). The more time you can spend with your natural nails airing out, the better. We hope this guide has given you some tips on how to get rid of fingernail fungus caused by fake nails. While avoiding acrylic manicures altogether is your best bet, we understand that isn’t always an option for some people. If you do contract an infection due to fake nails, give yourself time. Remove the nails and let your natural nails air out. Don’t get another manicure until the infection is completely gone. These solutions can help to both cure infections and treat them faster. Remember, the longer you let a fungus go without treatment, the worse it can become. Use these solutions at the first symptoms of an infection, and your nails will be able to be restored to health quickly. Does Nail Biting Cause Fingernail Fungus? What's the Best Fingernail Fungus Treatment?